Mulholland’s Mumbles 13/05/15- The Doorstep Challenge | Mulholland's mumbles. Well that was an eventful week that was. Two of the biggest domestic news jobs of the year, both of which consisted of hours of waiting preceded by months of planning to take a ‘couple walk out of building and pose on steps’ picture. It sounds very straightforward I know, I mean how difficult can it be? They’re not moving very fast, in fact, they’re not really moving much at all. The difficulty factor should register very low for this one. 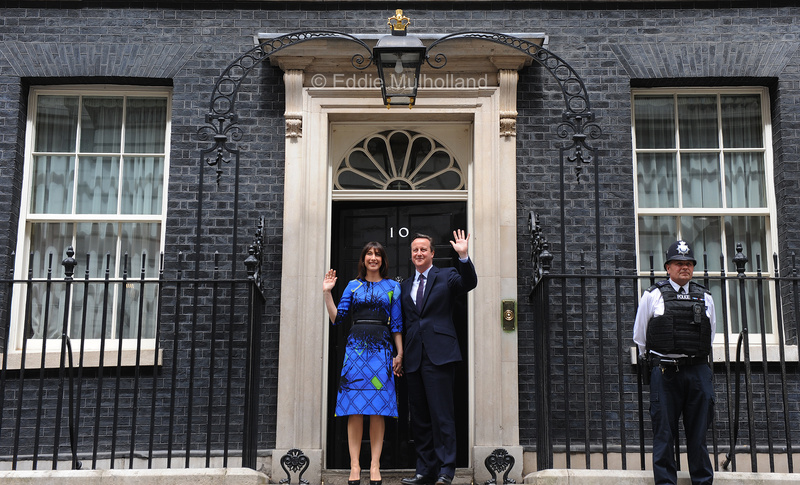 The only problem was that the first job was the Duke and Duchess of Cambridge leaving the Lindo Wing of St Mary’s Hospital Paddington with, their new addition to the family, Princess Charlotte and the second job was David and Samantha Cameron outside Number 10 Downing Street following his party’s success in winning the General Election. Still… when it comes down to it, it is still ‘couple walk out of building and pose on steps’… anyone could do that, couldn’t they ? Or maybe there is a bit more to it? 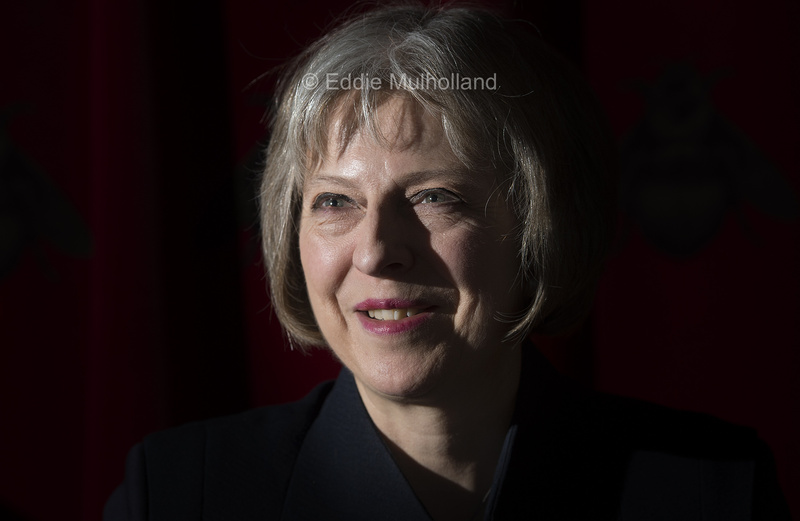 On big set-piece pictures like this, as with every other job in press photography, position is king. One would imagine that it is just a case of stand directly opposite the door, out they come, bosh, job’s a good’un. The trouble is that well over 100 other photographers and broadcasters have also worked that out and not all of them can be in that ‘sweet spot’. At the hospital, last time there had been an impending royal birth the media ended up camping outside the Lindo Wing for three weeks; mostly with nothing to report, guarding their positions jealously and generally getting in the way of the normal busy mechanics of hospital life. This time and with the help of Kensington Palace, the police, the NMA (News Media Association, which deals with allocating government and royal rotas, amongst many other tasks), the WPA (which does a similar job for the wire agencies), the hospital PR department and a few control freak photographers, a system of ‘pens’ were set up outside the Lindo Wing and all accredited press were put in a draw for positions. Pen A was directly opposite the door and the Daily Telegraph was given their primary position there with a secondary spot in Pen C, which was further up the road to the right of the door as you look at it. The plan was for the pens to become operational when the Duchess was admitted to the hospital. Kensington Palace would announce on Twitter that she had gone into labour and staff from the Palace press team would police the uptake of the pre-allocated positions. A slight panic on the Tuesday before the Duchess gave birth, caused by erroneous tweets of convoys being seen on their way, lead to several days of staking out the hospital. However, no-one, apart from the union-flag clad Superfans, tried to set up shop and the hospital carried on as normal. Although, there was perhaps a surge in profits in the hospital cafe. My colleague ,Geoff Pugh, was on early call on Saturday, the day of the birth, and so was in place as soon as the pens opened. Geoff and I had planned to toss a coin to see who went into which pen but, as it was quickly apparent it would be a short hospital stay, and he was already in place, it seemed silly to start messing about. I got set up in Pen C and had barely sorted my gear before we were told that Prince William was on his way out to collect Prince George so he could come and meet his new sister. Prince William gave a quick wave to the cameras on his departure and returned about 20 minutes later with his son. This made a great picture, the second heir to the throne carrying the third heir to the throne. 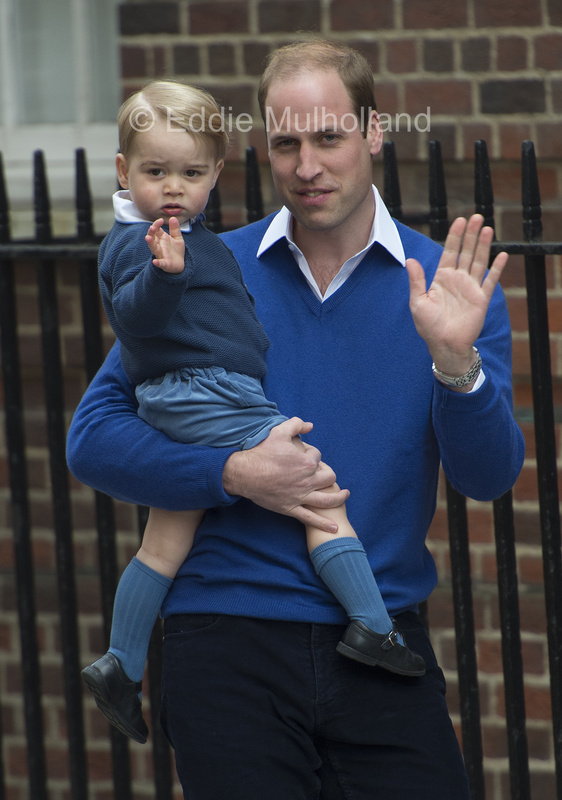 We even got a little wave from George. Any other day and that picture would have flown onto the covers of all the newspapers. After William slipped out the back to take George home, it was obvious our day would be ending sooner rather than later and finally the moment arrived. 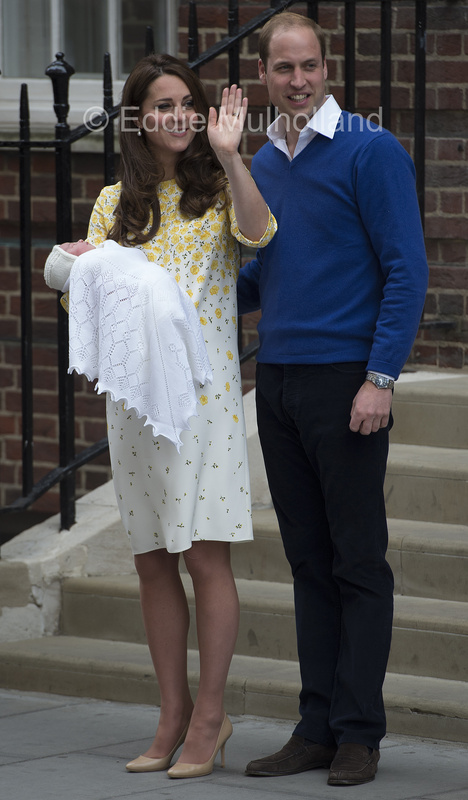 The Duke and Duchess of Cambridge with the new Princess Charlotte came out of the door and onto the steps to pose for the world’s media. One doorstep done, one more to go. Time to start thinking about Downing Street and when we would be seeing a Prime Minister. 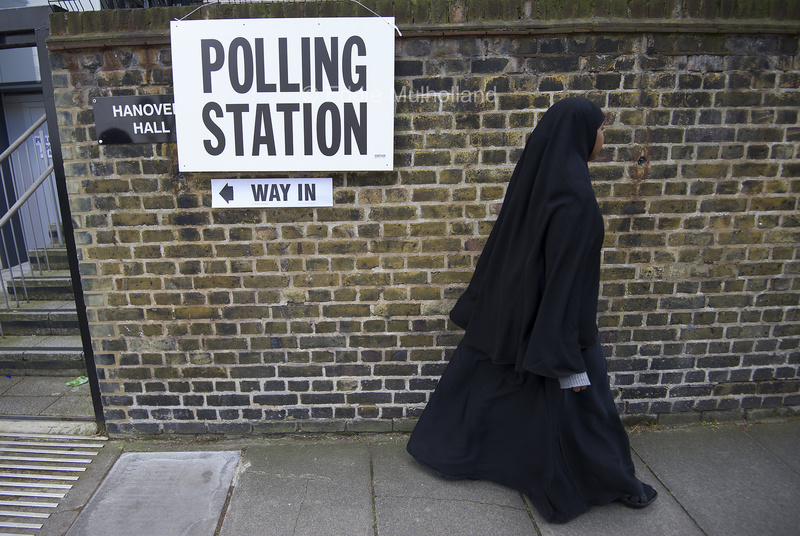 It was less than a week before the General Election. 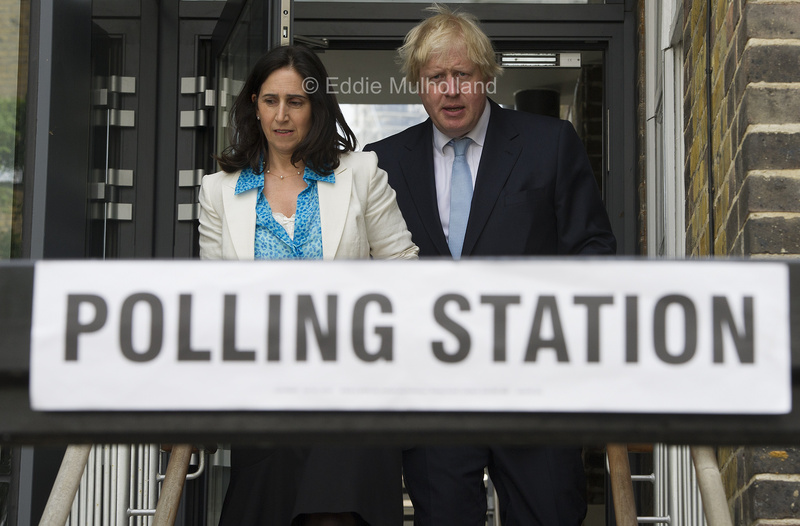 So whilst balancing a few other jobs, including a portrait of Theresa May and a long wait for Boris Johnson to cast his vote in Islington, I got all my batteries charged up, checked remote triggers and cleared my computer’s hard-drive ready for the next big doorstep. As everyone is now aware, the polls were a disaster and the Conservative Party won by a fair old majority. We had expected the formation of another coalition to take anything up to and possibly beyond a week and were expecting to be almost camped in Downing Street whilst the backroom horse-trading went on. We had organised a grid of positions directly opposite Number 10 and had once again drawn lots for those positions. At 5AM on the day after voting I headed out to set up facing the famous door. 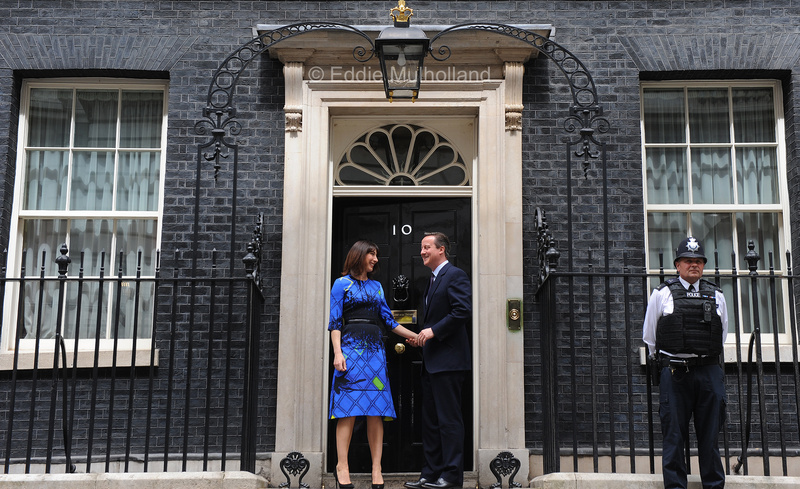 As the morning wore on it became more and more obvious we would be seeing David and Samantha posing for us… We even got a practice when they returned at 7.30am from the count in Witney, where Mr Cameron had held his seat. Everyone seemed happy with their position and we just had to wait until the newly confirmed PM had visited the Queen before getting the traditional waving picture around lunchtime. All went to plan and for once we all got an earlyish exit. 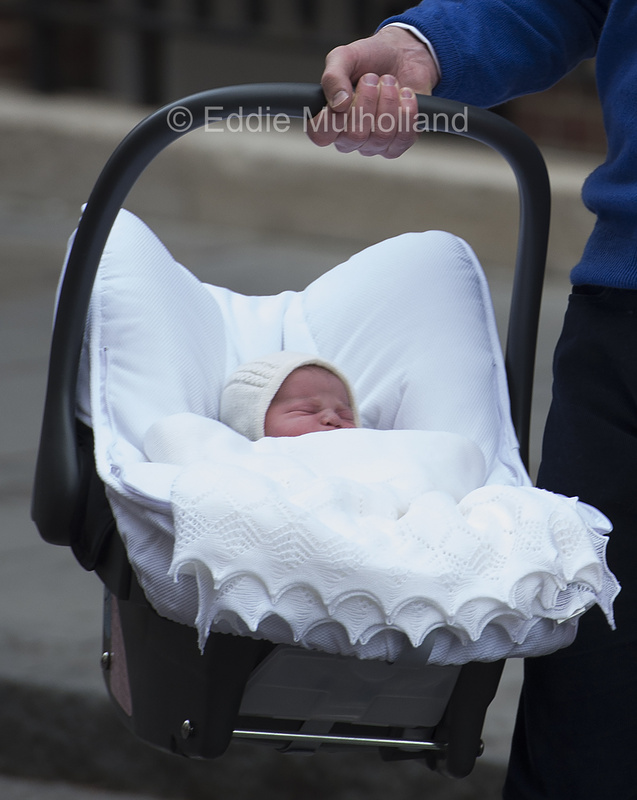 On both these jobs I used a Nikon D4S and a 70-200mm 2.8 lens, though I did add a 2X converter for the pictures of William carrying Prince George. I was also using a WT5 wireless transmitter ,which attaches to the camera and allows you to file straight to the office via FTP using a mobile broadband mifi device. I shot raw Neff files alongside the JPEGS ,which I cropped via the camera screen, tagged then filed. On both occasions my photographs were the first to drop in the office. 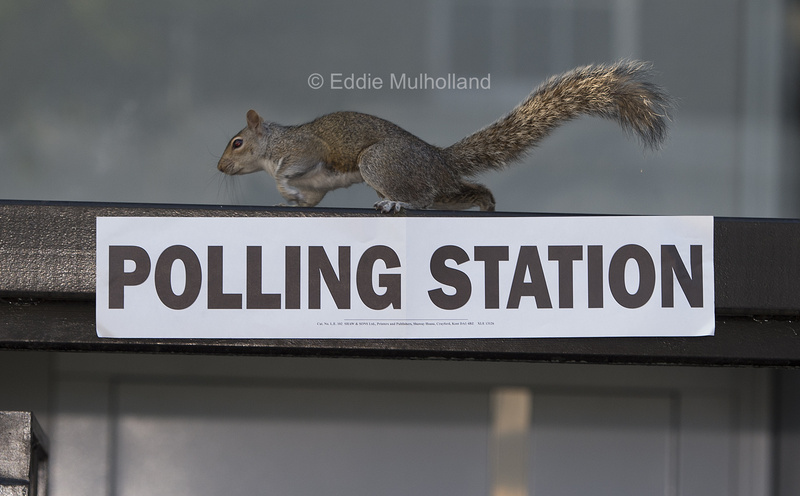 This entry was posted in Uncategorized and tagged #duchessofcambridge, #Election, #GE2015, #journalism, #newspapers, #photojournalism, #Politics, #pressphotography, #PrincessCharlotte, #RoyalBaby, #royals, #telegraph. Bookmark the permalink. As usual the consumate press photographer… and a not bad reporter ! 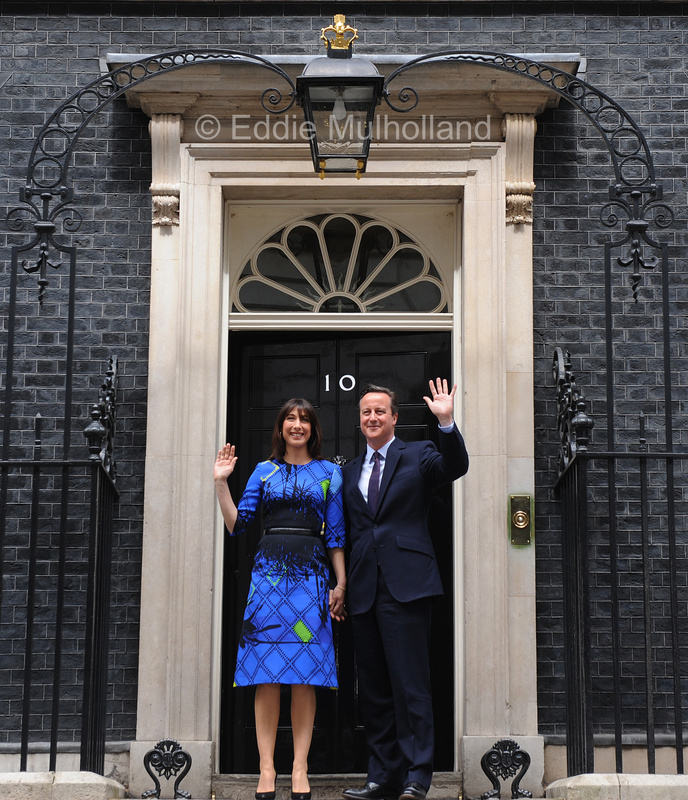 Your shots at Number 10 seem at a low angle. Were you shooting at sidewalk level? Those pics were from my remote which was on a base plate so yes it was at sidewalk level…I was lying flat on the ground to line it up..